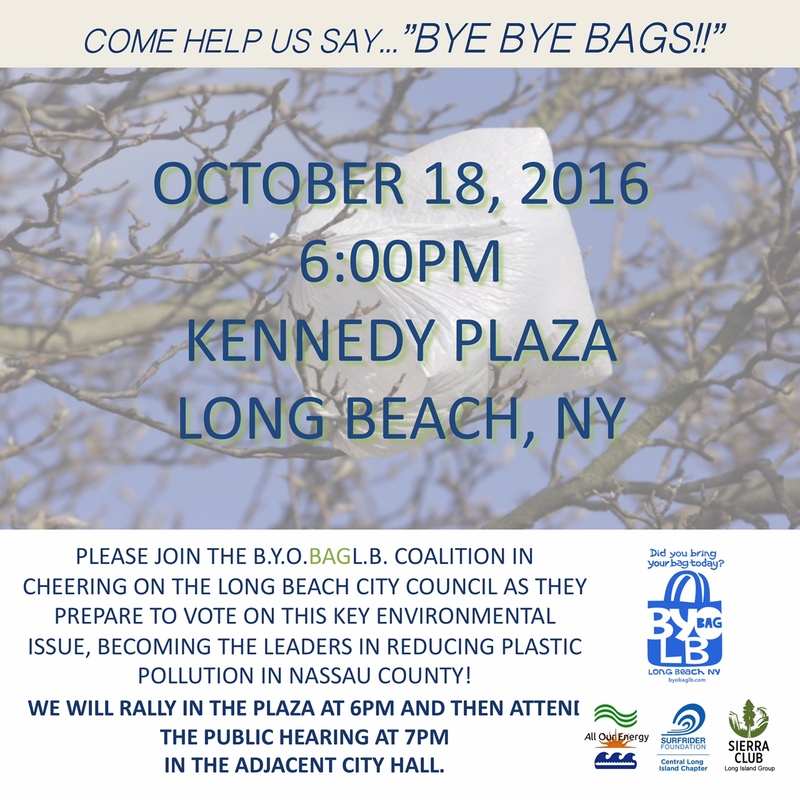 Folks, come out to a rally and then the City Council vote in Long Beach to watch the first town in Nassau County take action on plastic bag litter, Tuesday October 18th at 6 PM rally and 7PM meeting. Details in the flier below. There is also a Facebook Event here. 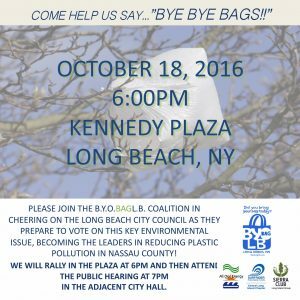 Thanks to our friends at All Our Energy and the entire Bring Your Own Bag Long Beach coalition, BYOB LB for all their work on this over the last year.